Bullies like to pick on the little guy. However, no-one but no-one respects them for that practice. We now have a drama unfolding in the tradition of david & GOLIATH and david is the grateful recipient of most of the moral support. In recent times, the tiny online publication known as the Samui Times has published many articles about murders and deaths on Koh Tao as well as the disappearance of the Russian girl, Valentina Novozhenova (23). In fact, it was the Samui Times that broke the important stories of Valentina’s disappearance and the suspicious death of the Belgian girl, Elise Dallemagne (30). In some Samui Times articles it was correctly pointed out that many expats living near Koh Tao often referred to the isle as “Death Island.” Indeed, it has also been tagged with more derogatory names such as “Mafia Island” and even “Murder Island.” Those three tags had all been used in social media, online forums and by mainstream media before, during and after the recent Samui Times articles that the Koh Tao residents seem to be objecting to. I am very aware of the Samui Times articles given that I drafted some of them myself. There was plenty of sabre rattling on Koh Tao from Monday, 3 July 2017. Then on Tuesday, 4 July 2017 a meeting of about 300 Koh Tao business people was held to discuss what to do about the Samui Times with lots of threats of criminal defamation charges and charges under the draconian Computer Crime Act. 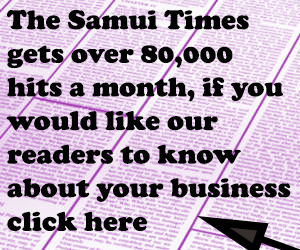 On 5 July 2017, the Samui Times responded to the news reports with a statement in this online service. On 6 July 2017 the Bangkok Post came out with a strong and greatly appreciated editorial in support of the Samui Times and responsible freedom of speech. This afternoon (7 July 2017), Thai time AFP reported that Thai authorities had filed charges against the Samui Times. It seems that the next step is for the police to refer the charges to the Surat Thani Prosecutor’s Office. (This is the same office that misled the Samui Provincial Court on the accreditation status of a police laboratory in the trial of two small Burmese men convicted of murdering Hannah Witheridge (23) and David Miller (24) on 15 September 2014 – but that is a whole new and sorry story). 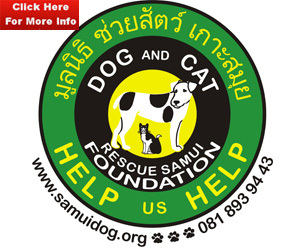 A disappointing aspect of the decision of the Thai authorities to take their complaint to the police on Thursday was that earlier in the week it was quite obvious that the Samui Times was receiving overwhelming public support both within Thailand and internationally. This could be seen in readers’ comments in newspapers, in online forums and on social media. It was painfully obvious that the decision to shoot the messenger would backfire very badly. The threat of legal action is a kneejerk reaction and one which is far too often resorted to in the Kingdom. People get angry and often they can lose 50 IQ points when angry. If the people behind the threats stopped and thought about their actions they might just start to appreciate how short-sighted they are. A point that has been made countless times by members of the public and tourists is that the term “Death Island” does not turn tourists away from Koh Tao. It is the murders, suspicious deaths, rapes and other crimes that turn people away from what should be a true paradise. 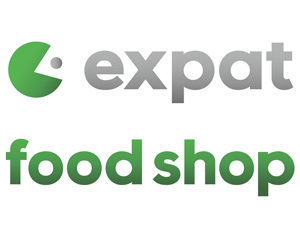 In addition, there are cultural differences at play here. The poor in Thailand are truly amongst some of the most wonderful people in the world. However, amongst the wealthy Thais one can see some of the nastiest people in the world. Westerners are not particularly tolerant of nasty people regardless of their wealth and power whereas poor Thais tend to be submissive in the presence of nasty, powerful Thais especially those who might threaten them with criminal defamation. This brings the discussion to the reactions of foreign tourists to events of the past week. Foreign tourist are certainly turned off by the conduct of the Thai authorities who seek to crush legitimate news reports about issues of public safety. They are not tolerant of corruption, propaganda and the Thai culture of shooting the messenger. Everyone understands that innocent business owners and others on Koh Tao will be suffering financially as a result of reduced tourist numbers. Everyone gets that and most reasonable people have considerable empathy for their plight. Foremost though one must have great empathy for the tourists who have suffered and for the families and friends of those who have perished in clear murders and in suspicious circumstances. The correct course of action for the residents of Koh Tao is not to attack the Samui Times. In my opinion, the decent law-abiding members of the Koh Tao community should either work towards clearing up an obvious crime problem or they should leave the island and cut their losses. Neither option is palatable. If the criminals on the island are too powerful then the practical thing to do is to pack up, cut one’s losses and leave what should have been paradise. If Koh Tao locals continue to publicly insist that they do not have a serious crime problem then they can’t take the first steps to rid themselves of this scourge.